A defensive end in college, where he gained notoriety for his pass rushing, Boulware was taken by the Ravens in the first round (fourth overall) of the 1997 NFL draft. Converted to outside linebacker, he moved directly into the starting lineup, joining fellow rookie Jamie Sharper and second year MLB Ray Lewis to create a young but formidable linebacking corps. He received NFL Defensive Player of the Year honors from the AP and Pro Football Writers. Boulware followed up on his outstanding rookie season by gaining selection to the Pro Bowl following the 1998 and ’99 seasons and was also recognized as a first-team All-AFC choice of Pro Football Weekly and second-team All-NFL pick by the Associated Press in 1999. While a shoulder injury caused his performance to level off, he was a mainstay of the defense in 2000 that fueled a late-season run culminating in victory in the Super Bowl. Due to injury depletion, Boulware was shifted to defensive end during the 2001 season. Ravens went 10-6 to finish second in the AFC Central and qualify for the playoffs as a Wild Card. Won AFC Wild Card playoff over Miami Dolphins (20-3). Lost AFC Divisional playoff to Pittsburgh Steelers (27-10). Boulware returned to outside linebacker and gained selection to two more Pro Bowls in 2002 and ’03. However, his string of 111 consecutive games was broken when he sat out the 2003 season finale due to injury and offseason knee surgery cost him all of 2004. He was released and re-signed to a lesser salary in ’05, playing as a reserve, and injuries forced his release and retirement prior to the 2006 season. Overall, he had 70 regular season sacks and three in the playoffs over the course of his career that included four Pro Bowl selections. Red-shirted as a freshman due to injury, Conlan went on to be a two-time All-American and was part of Penn State’s 1986 national championship team. He was chosen by the Bills in the first round of the ’87 NFL draft (eighth overall) and started five games of his strike-interrupted rookie year at left outside linebacker before moving inside after another rookie, LB Cornelius Bennett, was acquired from the Colts as part of a three-team trade at the end of October. Bills went 7-8 to finish fourth in the AFC East. Although he missed three regular season games plus a playoff contest due to a sprained foot, Conlan had his first of three straight Pro Bowl seasons in 1988 and received first-team All-NFL honors from UPI, the PFWA, Pro Football Weekly, and The Sporting News. He displayed good instincts and toughness and was at his best against the run, but, with his relatively slender build, durability continued to be a problem as he lost another six games in ’89 with a knee injury. Conlan appeared in every game in 1990 and ’91, as the Bills won their first two of four straight AFC titles, but he was injured once again in the Super Bowl loss against the Redskins following the latter season. With his skills beginning to diminish, Conlan signed with the Rams as a free agent in 1993 and was still an effective starting MLB despite chronic nagging injuries. He retired after three years with the Rams, having accumulated some 751 tackles over the course of 120 games spread across nine seasons. For the third week of the World Football League’s 1974 season, a natural rivalry took center stage on July 25 as the Philadelphia Bell hosted the New York Stars. There were 64,719 enthusiastic fans in attendance at JFK Stadium for the nationally-televised Thursday night contest, including Commissioner Gary Davidson – although the luster would dim weeks later when it was found out that most of those present had received free or significantly-discounted tickets. The Bell were 1-1, having won their opener in front of a similarly large crowd before bowing to Houston the previous week. Head Coach Ron Waller’s team featured an exciting offense directed by QB Jim “King” Corcoran, a colorful veteran of minor league football. The ground game was strong and featured running backs Claude Watts and John Land, who also were experienced minor league hands. The most notable player on the defense was LB Tim Rossovich, a colorful figure in his own right who had played for the NFL Eagles. New York was coached by former pro quarterback Babe Parilli and had yet to win in two hard-fought contests. There were several ex-Jets on the roster, including WR George Sauer, DE Gerry Philbin, and DT John Elliott. QB Tom Sherman had spent three years with the Boston Patriots before toiling in the minor leagues. The Bell struck first, completing an 89-yard drive in five plays when Jim Corcoran threw to Claude Watts for an 18-yard touchdown and then successfully added the action point on a quarterback sneak, following three offside penalties on New York, to gain an 8-0 lead (in the WFL, touchdowns counted for seven points and were followed by an action point, which couldn’t be kicked). New York got on the board when RB Dave Richards scored on a one-yard carry to finish off an 85-yard series, but the Stars remained a point behind when the pass attempt for the action point was unsuccessful. The Stars took a 14-8 lead just before the end of the first half when RB Bob Gladieux dove one yard for a touchdown following a 20-yard completion from Tom Sherman to WR Al Young. However, they again failed to convert on the action point. Philadelphia moved back in front a little less than six minutes into the third quarter on a Corcoran pass to TE LeVell Hill that covered nine yards for a touchdown. The score was set up by a 19-yard completion to WR Don Shanklin on the previous play. The Bell were unable to add the action point. Moses Lajterman (pictured at top), an Argentine kicker out of Montclair State, booted a 40-yard field goal at 3:12 into the fourth quarter to put the Stars in front, following an 11-play, 50-yard series. 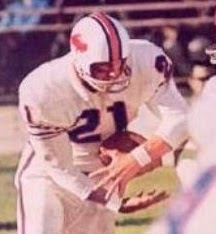 Lajterman was playing in his first pro game, having earlier been cut from the squad but then re-signed when PK Pete Rajecki suffered a rib injury, and adding to the drama was the fact that Larry Butler was making his first snap of the season, having moved over to center due to an injury to Bob Kuziel. The Bell had two chances in the last two minutes as Corcoran effectively passed them down the field, but Jack Simcszak missed to the right on a 36-yard field goal attempt and George Chatlos failed from 26 yards at the end of the contest. New York won by a final score of 17-15. The Stars led in total yards (322 to 301) and first downs (17 to 12). Most of their yardage came on the ground (201) while Philadelphia was more productive through the air (215 yards). The Bell turned the ball over four times, to three turnovers suffered by the Stars. Tom Sherman completed 7 of 15 passes for 121 yards with no touchdowns and one intercepted. Bob Gladieux rushed for 74 yards on 21 carries that included a TD and RB Ed White was right behind with 70 yards on 18 attempts. Al Young was New York’s top receiver, catching four passes for 74 yards. For the Bell, “King” Corcoran was successful on 14 of 24 throws for 215 yards and two TDs, but also tossed two interceptions. John Land gained 59 yards on 14 rushing attempts and Claude Watts was held to 19 yards on five carries that included a score while also pulling in three passes for 31 yards. WR Don Shanklin had three pass receptions for 87 yards and WR Linzy Cole added 55 yards on his three catches. Having finally broken into the win column, the Stars proceeded to put together a five-game winning streak. They were 8-5 when the franchise was shifted to Charlotte, where they were renamed the Hornets, and finished out the year with a 10-10 record. The Stars won their next two games but remained inconsistent, going 9-11, although they reached the postseason and lost in the first round. The revelations that the high early-season attendance figures were inflated by free and discounted tickets damaged the credibility of both the WFL and the Bell, which resulted in a dramatic decrease in fan support for games later in the schedule. Moses Lajterman went on to kick 7 field goals in 11 attempts in his only pro season. George Chatlos, whose missed field goal attempt at the end of the game sealed Philadelphia’s fate, never got another opportunity to try for another, although he did remain with the club as a linebacker and scored a touchdown. The Bell had trouble with placekicking all season, with three kickers accounting for eight field goals in all. The Danish, left-footed Andersen learned the art of placekicking as an exchange student in high school and went on to excel at Michigan State, where he connected on a 63-yard field goal against Ohio State. Chosen by the New Orleans Saints in the fourth round of the 1982 NFL draft, his pro career got off to a rough start when he missed most of his rookie year due to injury. However, he came back strong in ’83, was selected to the Pro Bowl for the first of four straight seasons in 1985, and was a consensus first-team All-NFL selection in 1986 and ’87. During 13 years in New Orleans, he kicked 302 field goals in 389 attempts (77.6 %), with 22 of those successful kicks coming from 50 yards or more, and added 412 extra points (missing six times) to become the franchise’s all-time scoring leader with 1318 points. He was chosen for the Pro Bowl twice more. In a surprising move, Andersen left the Saints for the rival Falcons as a free agent in 1995. Falcons went 9-7 to finish second in the NFC West and qualify for the postseason as a Wild Card entry. Lost AFC Wild Card playoff to Green Bay Packers (37-20). 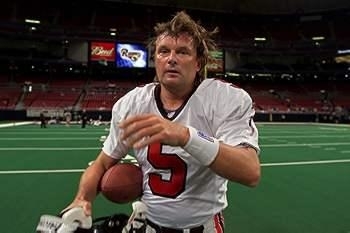 Andersen went on to play five more seasons in Atlanta, which included a NFC Championship in 1998 after he kicked the winning field goal against the Vikings in overtime of the conference title game. He moved on to the Giants for a year, spent 2002 and ’03 with the Chiefs, was with Minnesota in 2004, and then, after sitting out a year, returned to Atlanta in 2006 and ’07, finishing out his 25-season career at age 47. His 89.3 field goal percentage in 2007 (25 of 28) was his career best. He ended up as the NFL career leader in scoring (2544 points) and field goals (565), as well as having appeared in the most games (382) and scored in the most consecutive contests (360). Andersen was three times a consensus first-team All-NFL selection, received at least second-team or All-NFC honors on three other occasions, and was chosen to the Pro Bowl seven times. In addition to the Saints, he is also the career scoring leader for the Falcons (806 points), making him the only player to hold that distinction with two different NFL teams. Carter was a consensus All-American in 1991, excelling as both a defensive back and kick returner. 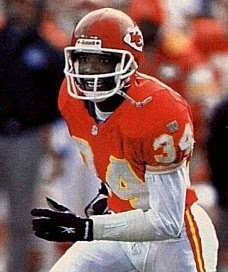 He was chosen by the Chiefs in the first round of the ’92 NFL draft (20th overall) and moved into the starting lineup for nine games. Chiefs went 10-6 to finish second in the AFC West and qualify for the playoffs as a Wild Card while leading the conference in fewest passing yards allowed (2537). Lost AFC Wild Card playoff to San Diego Chargers (17-0). Carter followed up with an inconsistent 1993 season in which his great playmaking ability was intermingled with often bad decisions, and there were issues off the field as well. However, his coverage skills improved and he was named to the Pro Bowl in each of the next four years, reaching his peak while playing in combination with James Hasty on the other side. He was also occasionally used as a wide receiver on offense, catching six passes in 1996, one of which was good for a 46-yard TD. A forearm injury hampered Carter in 1998, limiting him to 11 games, and he signed a large free agent contract to join the Denver Broncos in ’99, where he underachieved. He was suspended for 18 months, starting with the 2000 season, due to substance abuse and resurfaced with Minnesota in 2001, where he was united with his brother, WR Jake Reed. Moving on to New Orleans in ’02, suspensions continued to be an issue and he played a total of 15 games over the course of two years with the Saints. 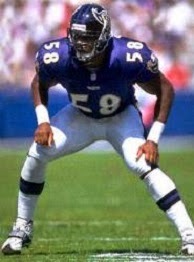 He spent the 2004 season on injured reserve before finishing his career with the Baltimore Ravens in ’05. Overall, Carter intercepted 24 passes, averaged 9.5 yards on 83 punt returns, and was selected to the Pro Bowl four times, but off-field problems ultimately derailed his career. July 17, 1974 marked the home debut of the Detroit Wheels, one of the teams in the newly-formed World Football League. Having lost their first game at Memphis the previous week, they were hosting the Florida Blazers with hopes of breaking into the win column. The Wheels had a large group of investors, but were quickly showing signs of financial trouble to come. Dan Boisture had been hired away from Eastern Michigan to be head coach, and the team found itself playing at that college’s Rynearson Stadium in Ypsilanti, over 30 miles from Detroit, having been unable to get a lease for Tiger Stadium. With a limited budget for players, the Wheels made little effort to sign NFL veterans, looking to Canada instead. 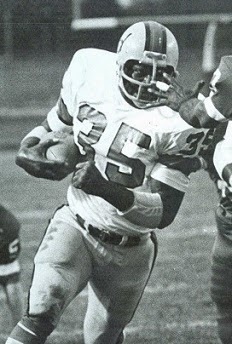 QB Bubba Wyche, formerly of Saskatchewan, directed the offense and WR Hubie Bryant was the WFL’s early receiving leader after gaining 153 yards on seven catches in the opening week, although he was suffering from an eye injury. The Blazers were coached by ex-NFL linebacker Jack Pardee and had won a narrow victory over The Hawaiians in Week 1. 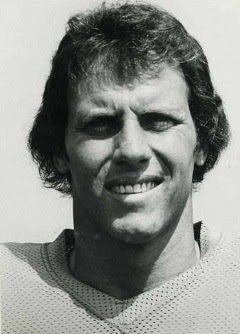 QB Bob Davis (pictured above) had NFL experience, having most notably served as backup to Joe Namath with the Jets, but the offense managed just eight points in the opener. There were 10,631 fans in attendance at Rynearson Stadium for the Wednesday night contest. Several hundred people watched the action for free from a nearby hill. The atmosphere was festive, with a rock band playing prior to the game. The Blazers scored first, driving 62 yards in eleven plays on their opening series, and Bob Davis threw to WR Matt Maslowski for a six-yard touchdown. The pass for the action point attempt failed, but the visitors held a 7-0 lead (in the WFL, touchdowns counted for seven points and were followed by an action point, which could not be kicked). Detroit came right back, going 80 yards in ten plays that ended with FB Sam Scarber running ten yards for a TD. The Wheels also failed to add the action point, and the score remained 7-7 until, with 29 seconds left before the end of the half, Les Perry kicked a 26-yard field goal for Florida. The Wheels regained the lead in the third quarter when Bubba Wyche connected with RB Jim Rathje, who eluded several tacklers after the catch on the way to a 41-yard TD. The attempt to run for the action point came up short, but the home team was ahead by four points. That remained the situation until late in the fourth quarter. Florida put together a series that covered 82 yards in 18 plays and was capped when RB Tommy Reamon scored on a five-yard run with 1:37 remaining. This time, the Blazers added the action point on a pass from Davis to TE Greg Latta, and now it was Florida on top by four. There was still enough time for the Wheels to come back, however. Wyche threw to WR Charlie McKee for a 43-yard gain, and when the receiver fumbled at the end of the play, Sam Scarber recovered at the Florida seven with the clock now down to 1:07. Scarber ran for two yards and Rathje picked up four to reach the one yard line. After Rathje was stopped for no gain, and with no timeouts remaining, Wyche hurriedly fired a fourth down pass into the end zone, but it fell incomplete. Florida came away with an 18-14 win. The Wheels outgained Florida (340 yards to 308) although the Blazers had the edge in first downs (18 to 13). There were no turnovers, but lots of penalties, with Detroit flagged 9 times at a cost of 87 yards and the visitors penalized seven times for 50 yards. Bob Davis completed 14 of 20 passes for 107 yards and a touchdown. RB Jim Strong led the ground attack with 89 yards on 18 carries and was also Florida’s leading receiver with four catches for 29 yards. RB A.D. Whitfield also had four receptions, for 18 yards. Tommy Reamon contributed 65 yards on 16 rushing attempts, which included the game-winning TD. For the Wheels, Bubba Wyche was successful on 14 of 29 throws for 221 yards and a TD. Sam Scarber (pictured at left) rushed for 74 yards on 11 attempts that included a touchdown. Charlie McKee topped the receivers with three catches for 69 yards. Detroit had to hurriedly prepare for a weekend game at Honolulu and lost, and kept on losing until reaching 0-10 before finally pulling out a victory in the return meeting with the Blazers. It was the only win for the Wheels, who failed to finish out the season and ended up at the bottom of the Central Division with a 1-13 record. Florida, which also suffered from major financial problems, fared much better, topping the Eastern Division at 14-6 and advancing to the WFL Championship game (called the World Bowl) before losing to the Birmingham Americans. A college tailback who rushed for 1282 yards, including 947 as a senior, Burnett was taken by the Bills in the fourth round of the 1966 AFL draft (as well as in the 10th round of the NFL draft by the Chicago Bears). While fast, he lacked experience as a blocker, but made a quick adjustment to the pro game and moved into the starting backfield. Bills went 9-4-1 to finish first in the AFL Eastern Division. Lost AFL Championship to Kansas City Chiefs (31-7). Burnett suffered cracked ribs during training camp in 1967 and then a major knee injury during a season in which he was limited to 96 rushing yards and 11 pass receptions. He was chosen by the Cincinnati Bengals in the expansion draft for the 1968 season but, with his knee still in recovery, Burnett never played for them. He joined the Denver Broncos for 1969, lasted three games, and retired, with the knee injury having effectively ended his pro career after the outstanding rookie campaign. Beyond his rookie statistics, he gained just 105 yards on 50 carries (2.1 avg.) and caught 11 passes for 114 yards, scoring no further touchdowns. An outstanding all-purpose back in college, Anderson received All-Southwestern Conference honors in 1982 and was chosen in the first round (20th overall) of the 1983 NFL draft by the San Diego Chargers and in the USFL draft by the New Jersey Generals (fifth overall). 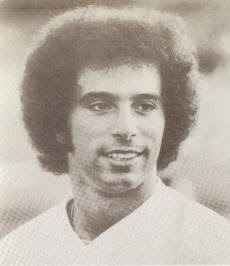 The Chargers intended to convert him into a wide receiver, but Anderson expressed an interest in playing for Tampa Bay of the new spring league, and his draft rights were accordingly dealt to the Bandits. He didn’t join the team until halfway through the ’83 season but had an impact when he did, rushing for 516 yards on 97 carries (5.3 avg.) and catching 29 passes for 347 yards in eight games. Bandits went 14-4 to finish second in the USFL Southern Division and qualify for a Wild Card playoff spot. Lost USFL First Round playoff to Birmingham Stallions (36-17). Anderson had another outstanding season in 1985, rushing for 1207 yards, catching 72 passes for another 678 yards, and scoring a total of 20 touchdowns. 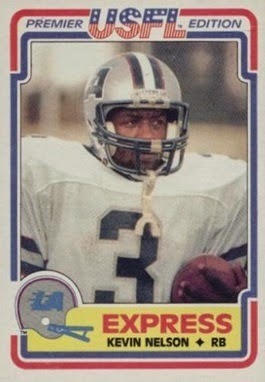 He was named to the official USFL All-League team and was also an All-USFL selection by The Sporting News. With the demise of the USFL, Anderson joined the Chargers during the ’85 NFL season and was a Pro Bowl honoree in 1986 after gaining 2022 all-purpose yards, including 871 on a career-high 80 catches. He had a lesser year in the strike-interrupted 1987 season while splitting time with Curtis Adams at halfback, but rushed for 1119 yards in ’88. A contract dispute led to Anderson sitting out in 1989 and he was traded to the Tampa Bay Buccaneers in ’90. While he gained 1110 yards from scrimmage that year despite dealing with nagging injuries, his production dropped off significantly thereafter as he was used more as a specialty receiver out of the backfield. He finished up with Detroit, who obtained him during the ’93 season. 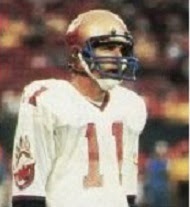 Anderson came out of retirement in 1995 to play for the Memphis Mad Dogs of the CFL, rushing for 250 yards and catching 28 passes in his final pro season. 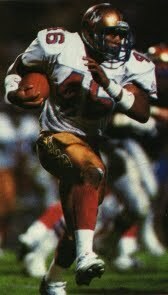 Overall in the USFL, Anderson rushed for 2731 yards on 641 attempts (4.3 avg. ), had another 1707 yards on 167 catches, and scored 45 touchdowns. In the NFL, he gained 3409 yards on the ground, 2999 on 302 pass receptions, and adding in kick returns gained 9572 all-purpose yards while scoring 32 TDs. Brockington started at halfback as a sophomore in college, backed up FB Jim Otis for a year, and then started at fullback as a senior and rushed for a team-record 1142 yards and scored 17 TDs in 1970. 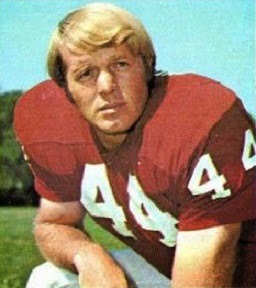 He was chosen by the Packers in the first round (ninth overall) of the ’71 NFL draft and moved directly into the starting lineup in combination with HB Donny Anderson. Packers went 4-8-2 to finish fourth in the NFC Central. Brockington, who had a new backfield mate in HB MacArthur Lane, followed up by rushing for 1027 yards as the Packers won the NFC Central in 1972 and then had a career-high 1144 yards in ’73, which led the conference. He was chosen to the Pro Bowl after each season, having become the first player in NFL history to reach a thousand yards in each of his first three years. A straight-ahead runner, he found the going more difficult over time as the team’s lack of a credible passing attack had defenses keying on stopping the ground game. 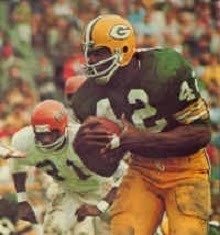 His rookie yards-per-carry average was his best, as he averaged 3.7 and 4.3 yards, respectively, in ’72 and ’73. After gaining 883 yards on the ground in 1974, in addition to catching a career-high 43 passes, his production dropped sharply as the wear and tear of his punishing running style began to take its toll and he never again gained as many as 500 yards in a season. Released by the Packers early in the 1977 season, he finished up with the Kansas City Chiefs. Overall, Brockington rushed for 5185 yards on 1347 carries (all but 161 yards and 54 carries coming with Green Bay) and caught 157 passes for 1297 yards (19 for 222 yards with the Chiefs), scoring a total of 34 touchdowns (30 rushing, four receiving).